The Danbury Westerners are an NECBL (New England Collegiate Baseball League) collegiate summer baseball team located in Danbury, CT.
George Foster is a former outfielder, who played from 1969 to 1986. 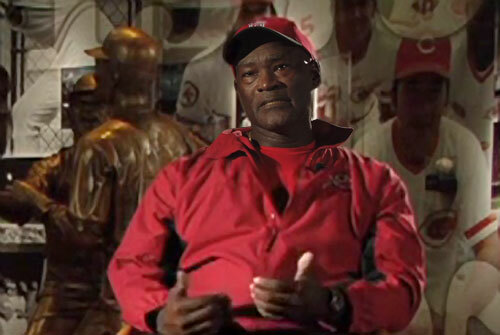 He was One of the most feared right-handed sluggers of his era and was a key part of the Cincinnati Reds’ “Big Red Machine” that won consecutive World Series in 1975 & 1976. Foster led the National League in home runs in 1977 and 1978, and in RBIs in 1976, 1977, and 1978. He won the NL’s Most Valuable Player Award in 1977 and a Silver Slugger Award in 1981. Sports Speakers 360 is a booking agent for pro athletes. If you would like to book George Foster for a speaking engagement, appearance or endorsement, contact a George Foster booking agent for fees at 1.855.303.5450.